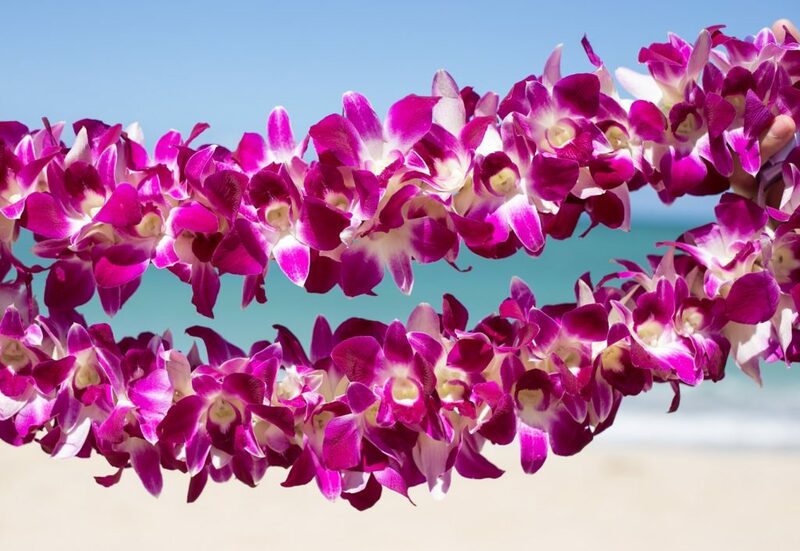 The lei is a world-renowned symbol of Hawaii and has become a custom to present and welcome visitors to the islands with. 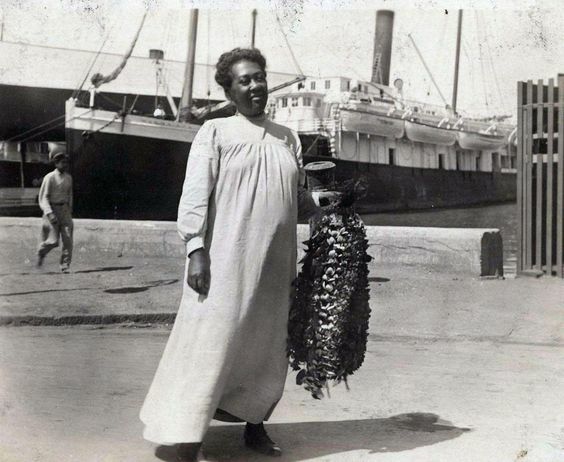 During the “Boat Days” of the early 1900s, locals lined the Aloha Tower pier to welcome malihini (visitors) and kama`aina (locals) back home. 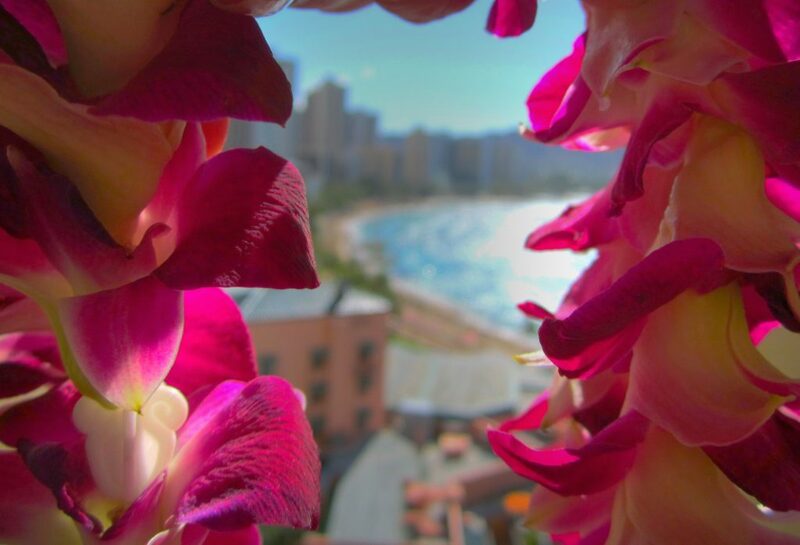 And it is said when departing visitors would depart; they would throw the lei into the ocean when the ship passed Diamond Head, in the hopes that they would return. Today, you can bring back that nostalgia of old Hawaii by receiving a traditional flower lei greeting upon your arrival at the airport. 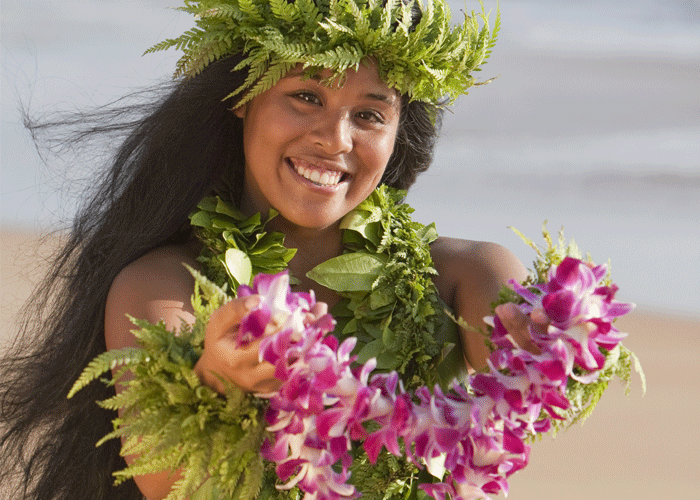 We will welcome you with a warm Aloha and adorn you with a beautiful fresh flower lei. It’s a wonderful way to start your Hawaiian Vacation. Airport Meet & Greet will be at the Baggage Claim for U.S. Mainland and Neigbor Island flights. Guests traveling on an International flight are met outside the Customs area. FLOWER LEIS: You may order leis in advance for an additional cost. Leis vary in color, complexity, scent, season, durability, gender, and cost. Upgraded leis are $15 each. Deluxe leis are $25 each. Super-Deluxe Leis are over $25, and the market price will apply. Simply check the Flower Lei Greeting on during while booking your limo service online.